The state of our mission: how are we doing? Meet our new IDA Program Manager! November/December version of The Works now available! Make sure to donate before the end of the year! Tax volunteers needed in 2019! and more! Click the picture below to read the latest news! 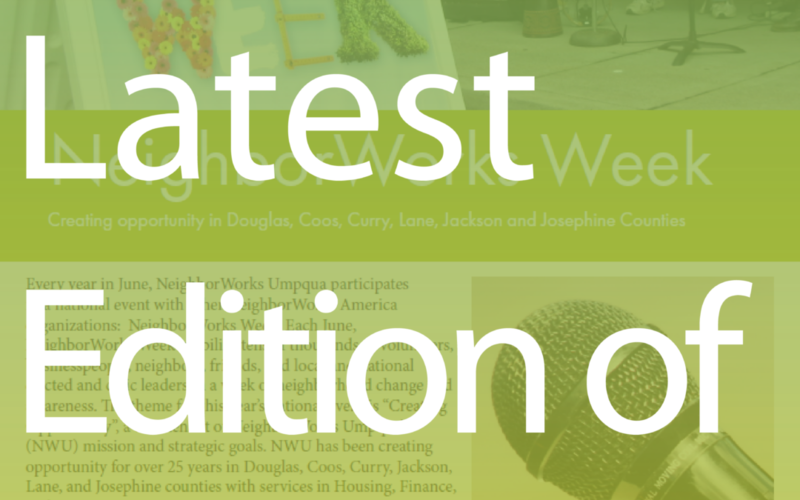 July/August Edition of The Works is now available! NeighborWorks Umpqua Block Party is coming to Roseburg! Give us your opinion on our communications!